A full set of accounts in the electronic format (iXBRL) required by HMRC. 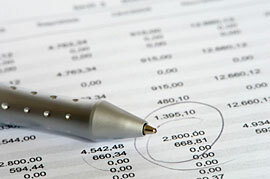 Financial statements to meet the requirements of your lenders and mortgagers, including cash flow forecasts. Reports requested by other investors and government agencies for assessing the position and performance of the business. Improve clarity, focus on strengths and are fit for purpose. Summarise the financial side of your business for effective decisions to be made. Summarise information for ready transfer to Tax Returns, and other statutory forms. Include detail relevant to your business, such as on loans to directors, asset disposals and overseas income. Read well, with a professional layout and are easy to follow. The accounts we produce are made to measure the financial position and performance of your business in particular. Please contact us today for your free, initial consultation and find out how we could assist.